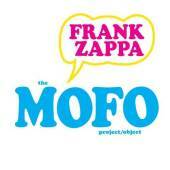 MoFo: The Making of Freak Out! Absolutely essential for completists, and functions as both an archival release and a reissue of "Freak Out". The two-disc set available at retail is mostly a "sampler" for the big box, although it does have a few tracks unavailable on the larger set. The limited edition 4CD boxed set is only available at MusicToday/Barfko. This page will be reformatted soon. In the meantime, click here for the in-progress track rundown. Tracks in bold are unique to this 2CD release. Disc 1 is the first-ever CD release of the entire, original 1966 stereo mix of "Freak Out!"